Though your Phalaenopsis orchid is a tropical plant, it can still thrive in the winter! Orchids are fully capable of blooming their beauty year round, but the colder temps and dry indoor conditions can affect your plant. 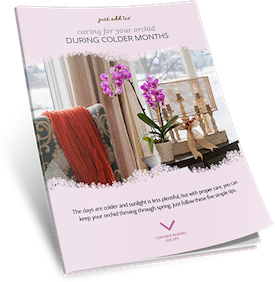 Simply fill out the form to receive your free copy of Caring for Your Orchid During Colder Months.